The landap is the most distinctive of all the malongs. It is used for ceremonies. Traditionally, magenta and yellow colors are used by the sultans (*). 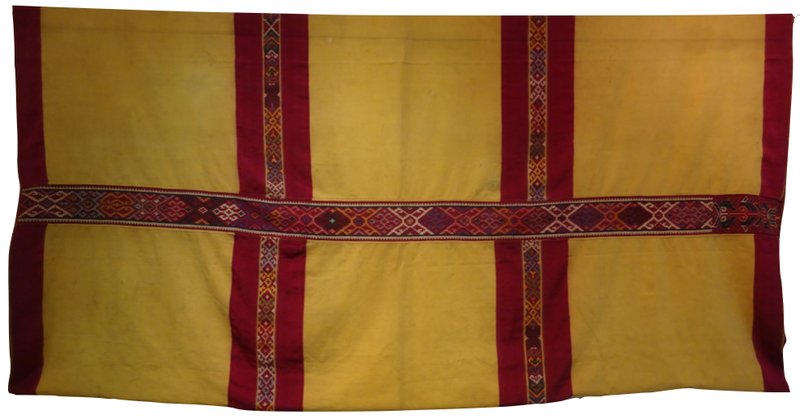 This particular malong has a horizontal frieze pattern that cuts across two vertical bands each decorated with frieze patterns. The symmetry group of a given frieze pattern is mm. Axes of distinct vertical reflections and horizontal reflection; and distinct centers of 180o rotation are as shown in the figure below.